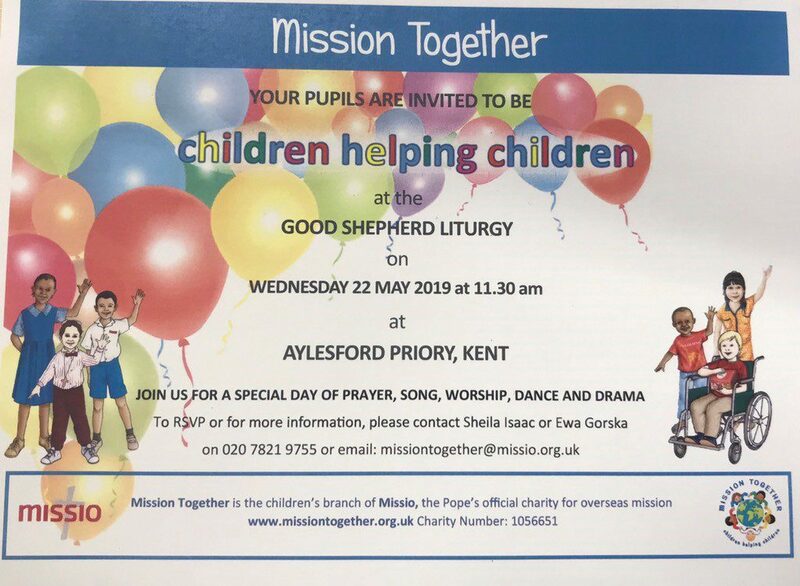 Missio organizes and runs the Good Shepherd Liturgy for the primary schools in the Archdiocese of Southwark. Every year Missio tries to have a different collection of schools participating through: reading scripture, reading intercessory prayers, sing hymns and interpreting scripture/hymns through dance/mime/sign language. There are a limited amount of schools who can participate in this manner but there is unlimited space for those who wish to attend as part of the congregation. The day is always prayerful and fun with many of the attending schools having a picnic and enjoying the beautiful Aylesford Priory surroundings.